Giovanni’s Room is told from the perspective of David who recalls the time he was in Paris, away from his fiancée Hella and in a relationship with a barman named Giovanni. At the beginning of the story, we learn that Giovanni has been executed though we do not know his crime. The rest of the book is told in flashback and anecdotally. Hella is in Spain while David has an affair with Giovanni whom he met at a gay bar. David is torn between desire and guilt, not sure whether to continue his relationship with Hella, return to the U.S., or stay with Giovanni. 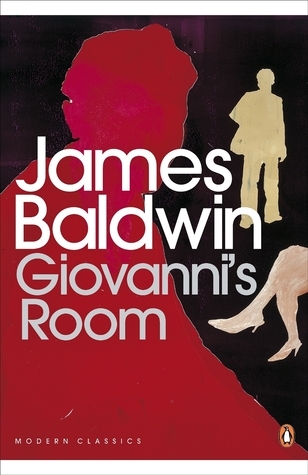 In James Baldwin’s Giovanni’s Room, David struggles to accept his sexuality, make major life decisions, and relate to his father. James Baldwin wrote Giovanni’s Room in 1956, long before gay rights received any serious consideration in the United States. But although the work deals primarily with sexuality, it also touches on family, the woman’s place in society, moral responsibility, and national identity. This work really reminded me of Sartre’s Nausee and Fitzgerald’s The Great Gatsby. In all three works the narrators are pretty unpleasant characters with similar personalities, but their relationships and existential crises are so beautifully and hauntingly described. While the story of Giovanni’s Room is not very eventful, the prose is absolutely gorgeous. Giovanni is a very lovable character despite the crime he commits. I look forward to reading more works by James Baldwin.